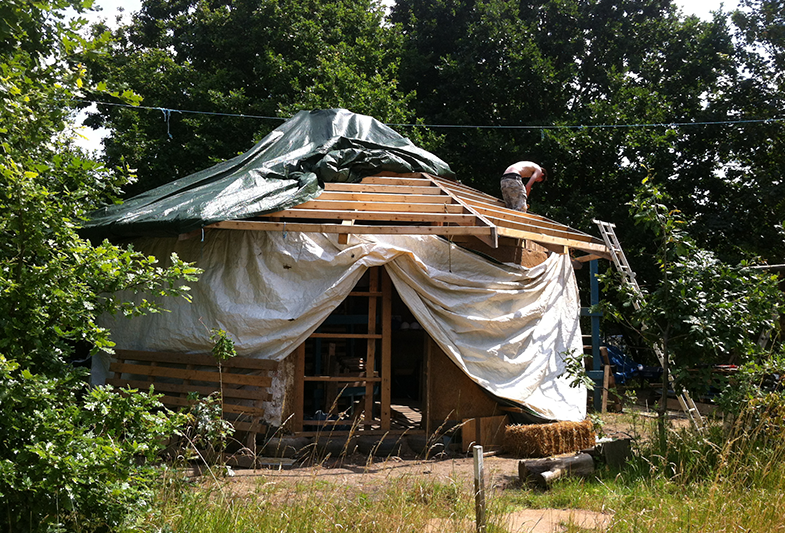 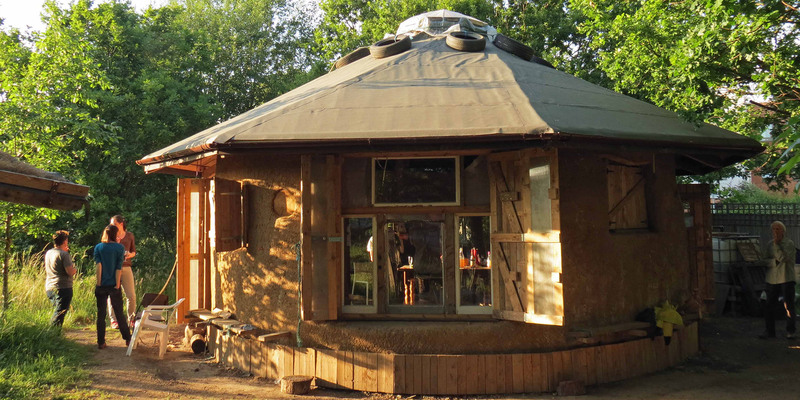 Community Centre 25m2 hybrid cob and straw bale build single story structure with reciprocal roof located in a meadow in north London. 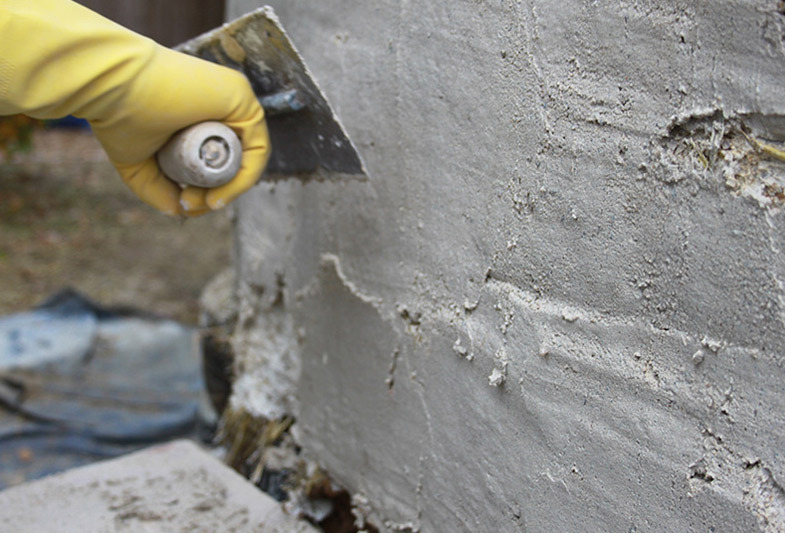 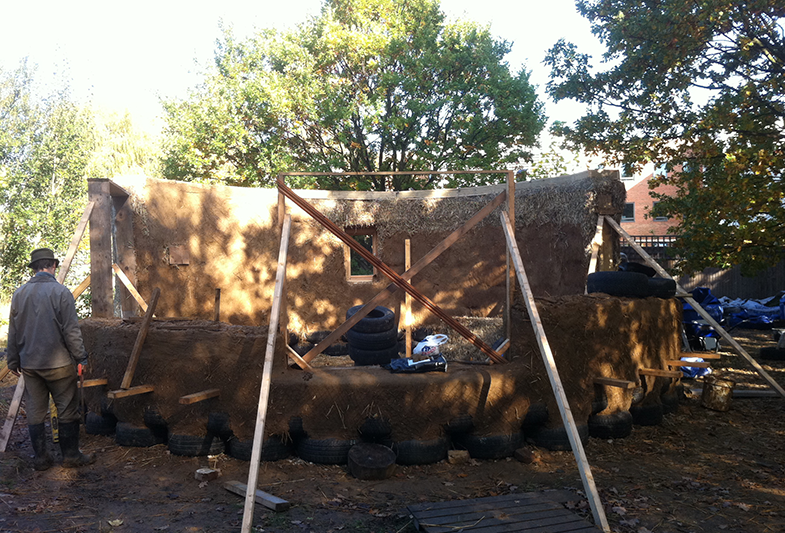 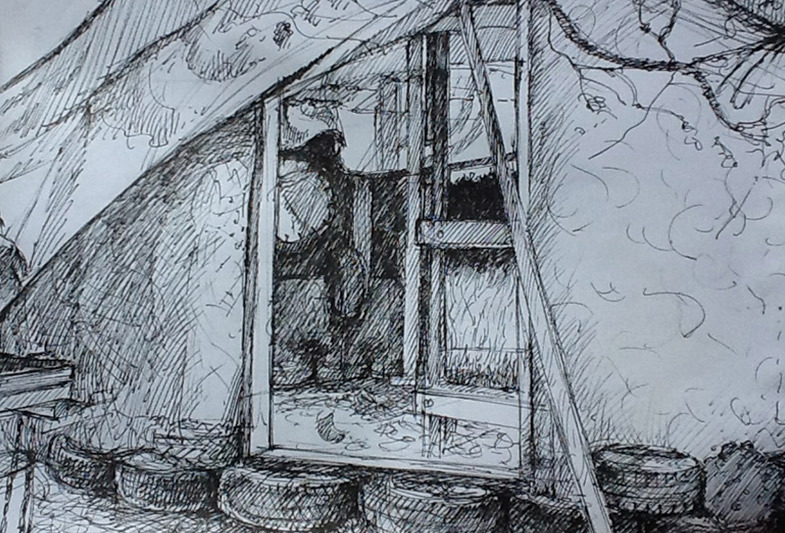 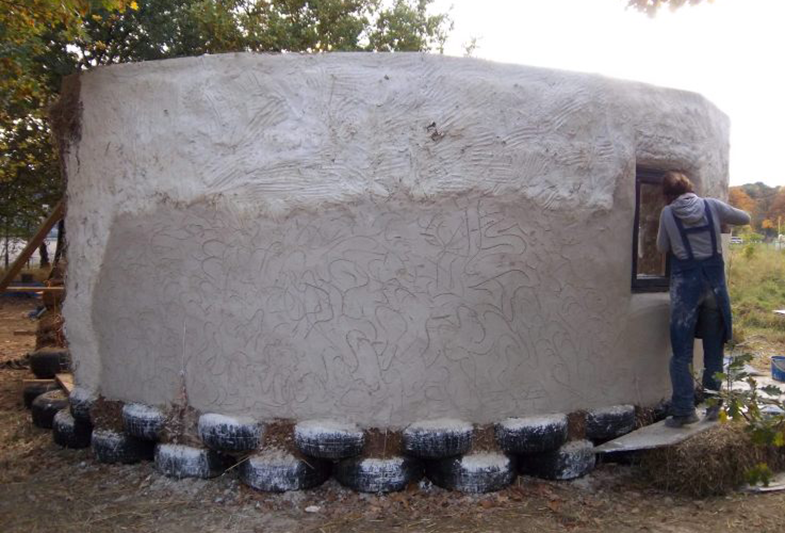 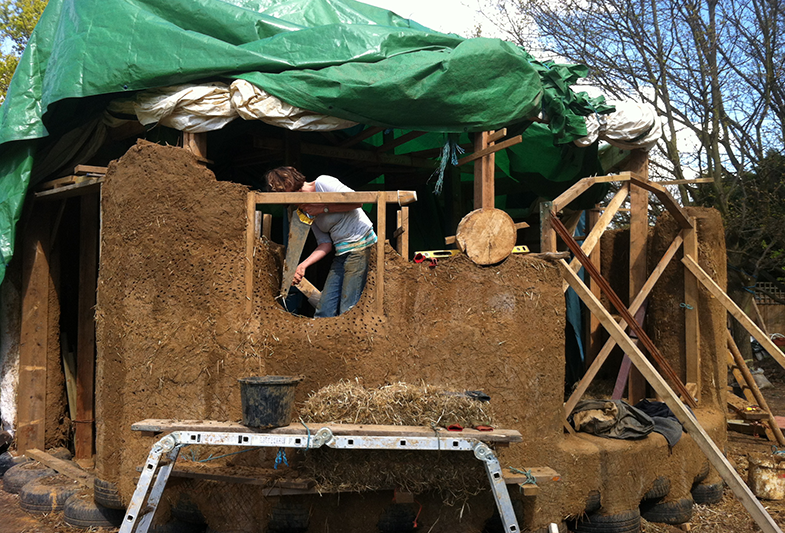 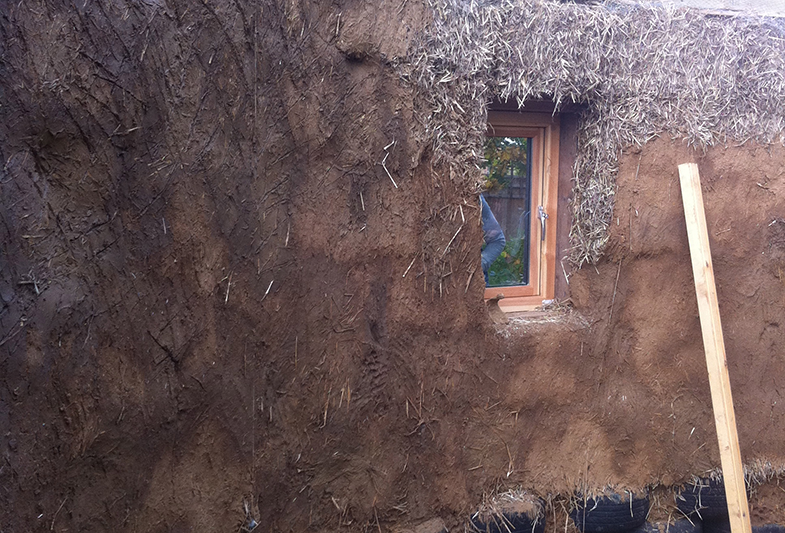 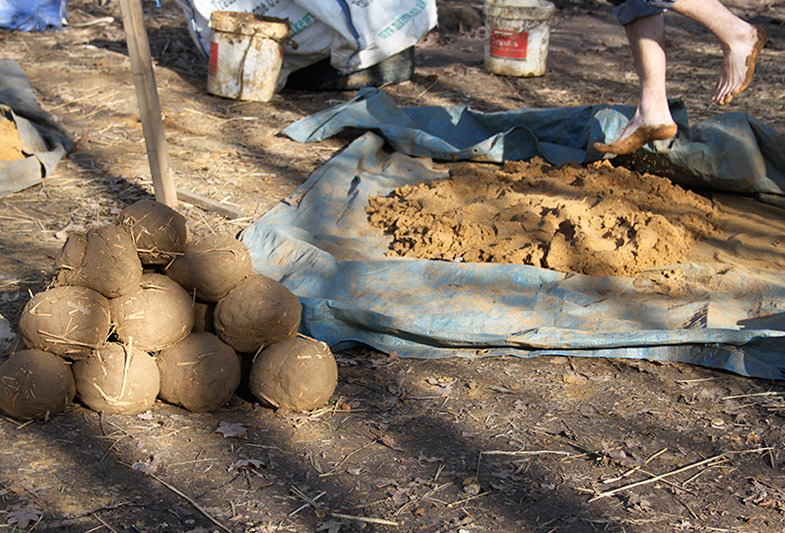 Cob in the Community were engaged to manage the cob building and rammed earth tyre stem wall aspects of this build. 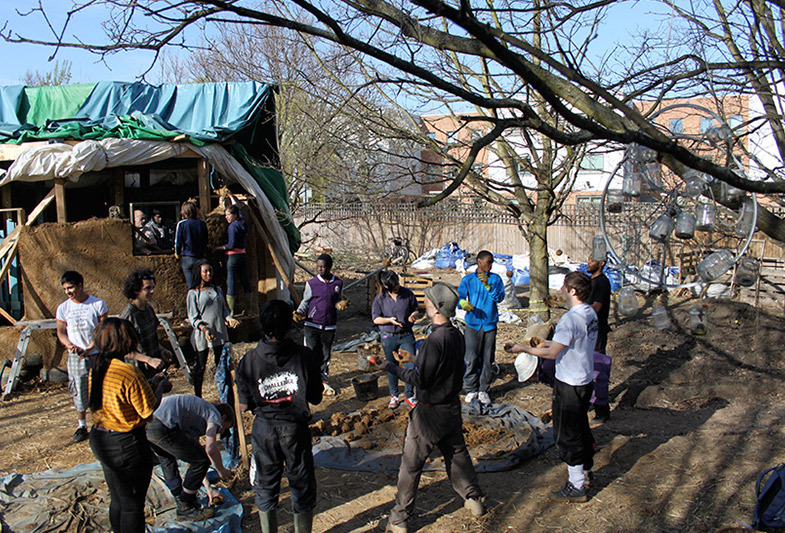 The community participants, and the site benefited from deep participation in the design, creation of materials build of the community centre. 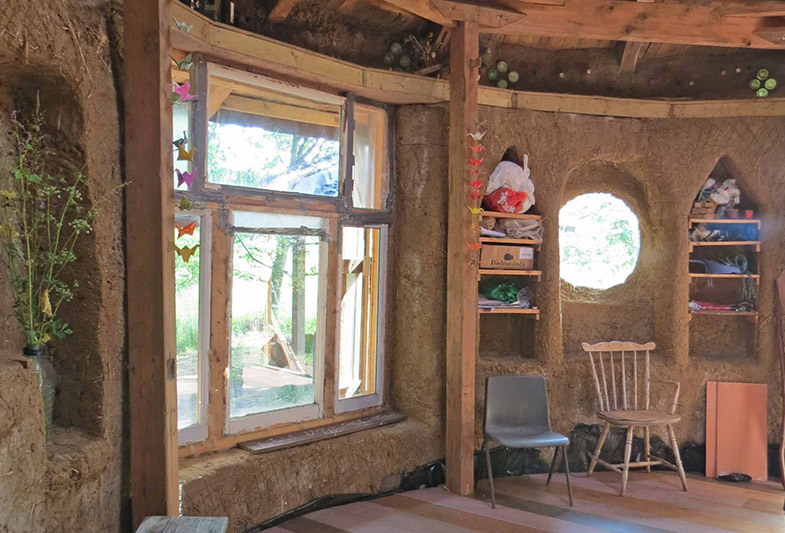 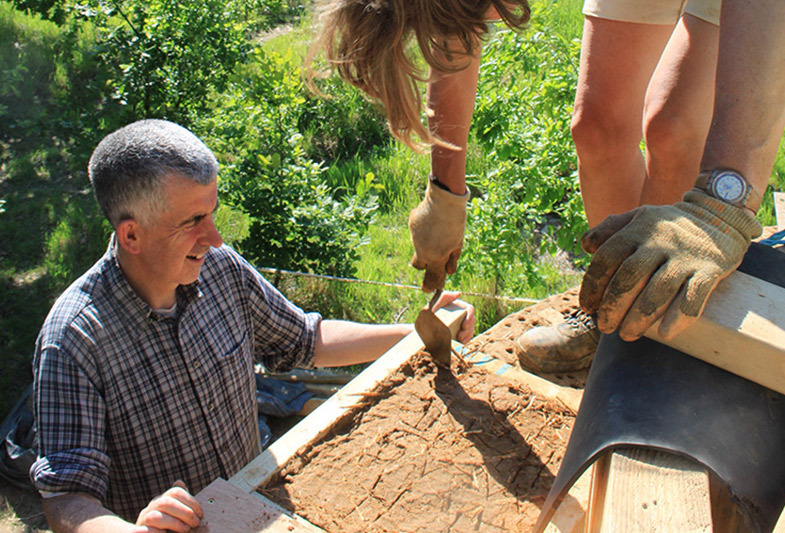 The choice of natural materials – in the case of cob sourced directly from the foundations dug for the building itself, were supportive of protecting this space – a rare, beautiful meadow. 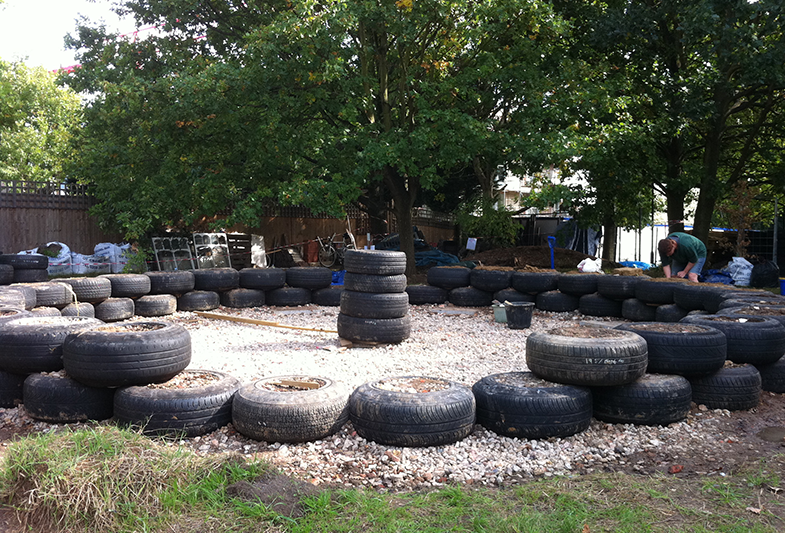 Engaged wider community to engage with the space and with low impact natural recycled materials. 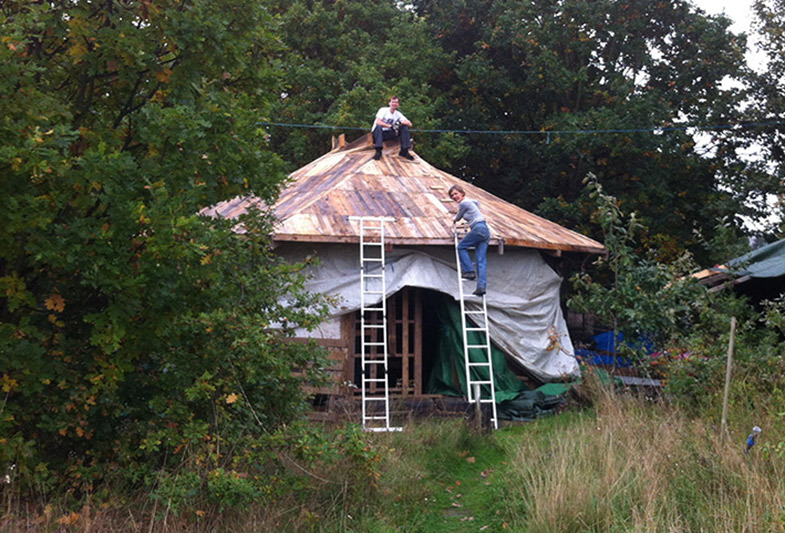 Targeted specific community users including those with special needs (referrals). 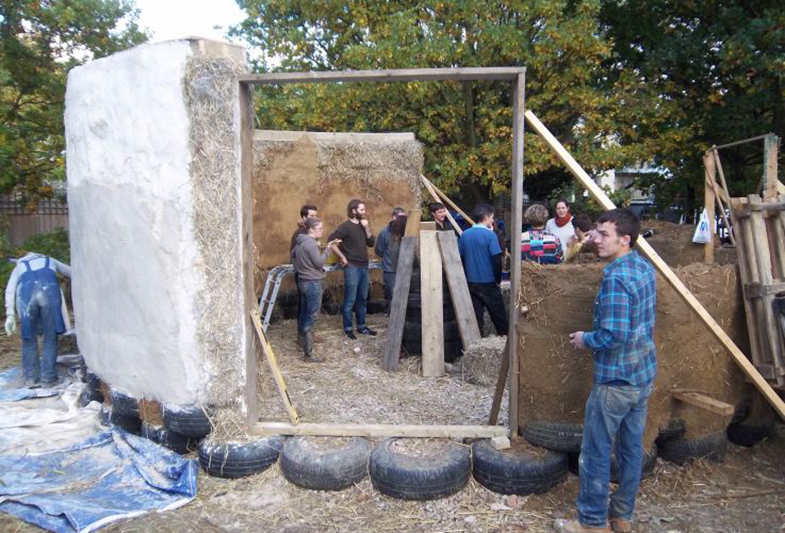 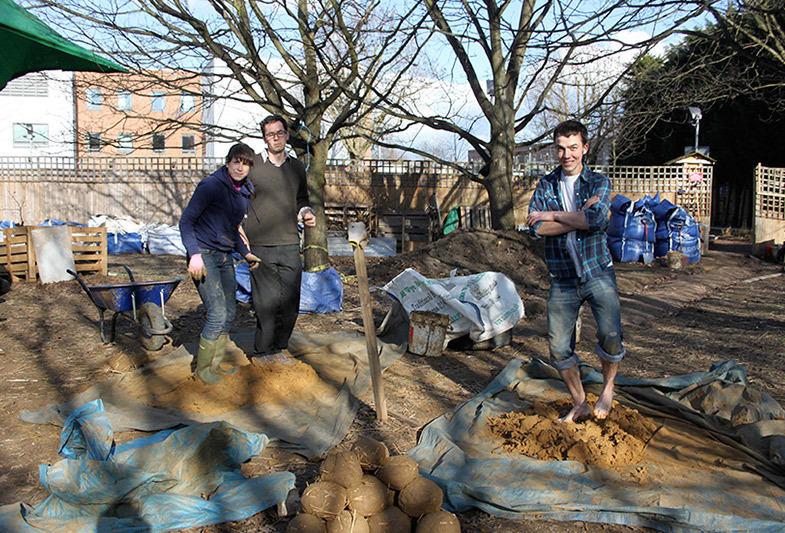 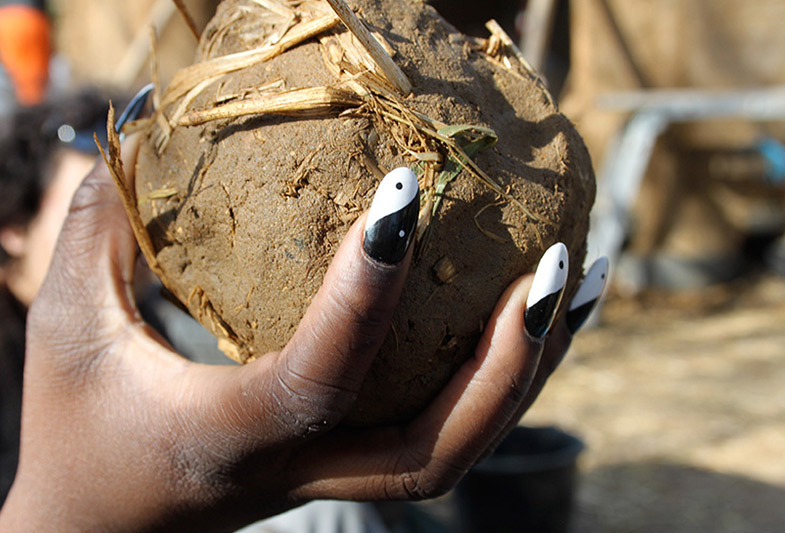 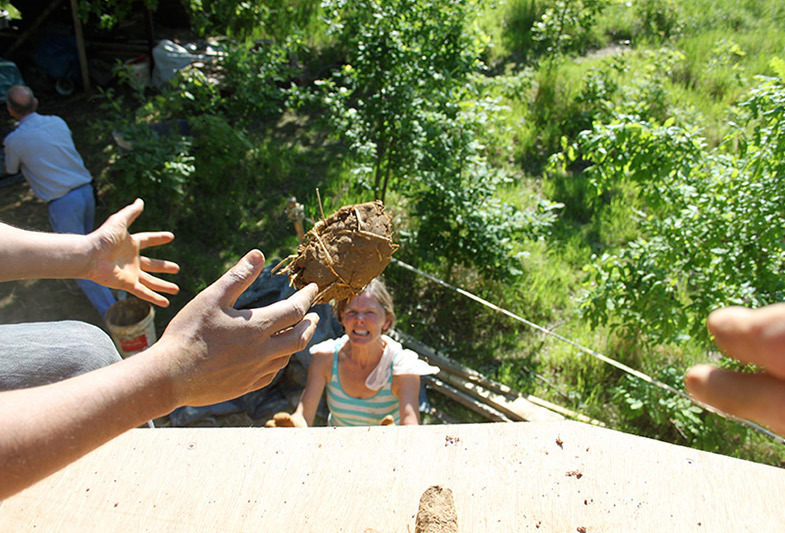 Over 270 people learned how to make cob, how to build with cob and take part in making their community centre. 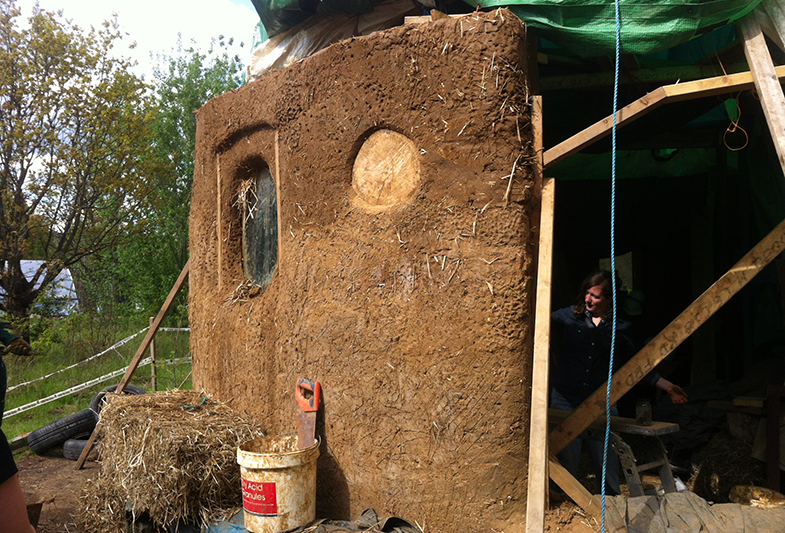 Promoted and gave talks about the build at London ‘eco/green’ fairs. 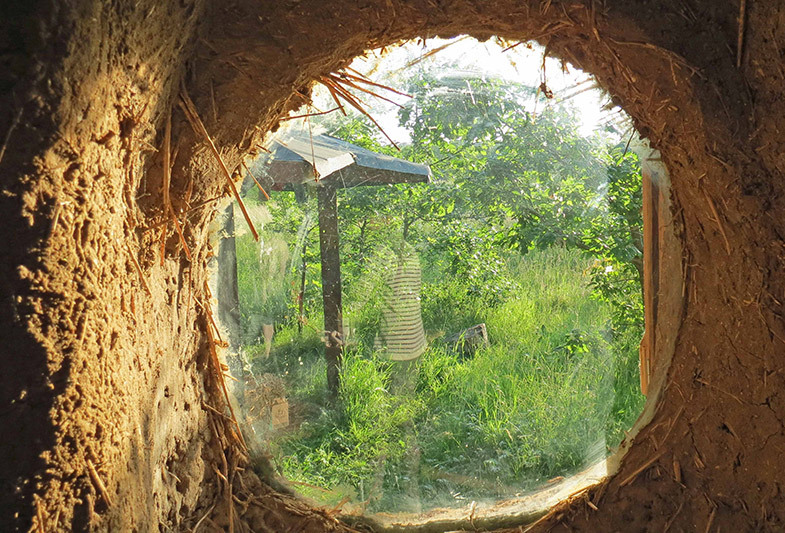 Why not visit the healing space yourself?